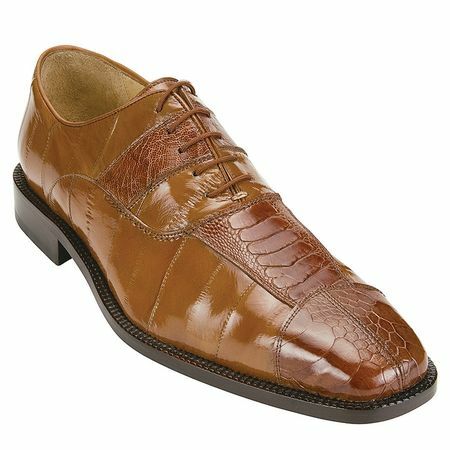 If having heads turn every where you go is important to and you like like to wear only the finest exotic skin shoes on your feet, you're going to need to get a pair of these rich looking Belvedere camel color eel skin shoes. The Mare by Belvedere Shoes features silky smooth Camel color Eel skin artfully combined with Ostrich leg skin on top and cap toe lace up design that are ready make life happen. Dress like the Boss in these sharp looking Belvedere camel color eel skin shoes from Contempo.